Delve into a secret world and escape from your normal life for a night or a weekend off the beaten track in one of our wonderful Secret Escapes. 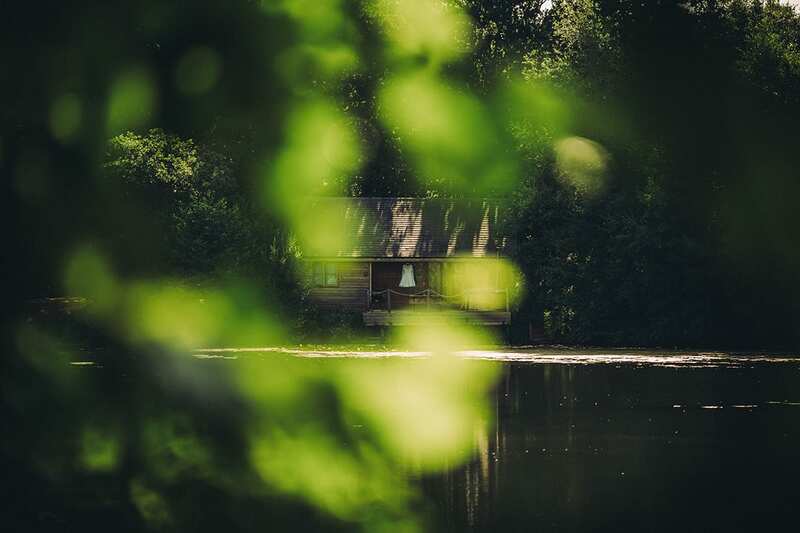 Discover our quirky accommodation, from our epic log cabin to luxury camping, designed to provide you with a break from modern life in a secret corner of the countryside hidden away from the rest of the world. A place where you can get lost, surround yourself in silence and truly escape from it all. Enjoy all of this in complete comfort – after all, who said escaping to the countryside couldn’t be luxurious? We have two options to choose from when you are looking for a secret escape, whether for a night, a weekend or longer. Choose whichever option takes your fancy. Nothing beats staying in an epic log cabin for the ideal quirky getaway. Travel down a country track to the end of a hidden lake deep in the Colne Valley, and surround yourself with stunning views, picturesque woodland and complete peace. Our Log Cabin is located right in the heart of the Essex countryside, but you won’t be far from Colchester if you fancy a trip to town to explore its attractions. There’s even a pub only a couple of miles away. Enjoy complete comfort in our cosy, picturesque log cabin – and bring your dog along too! Camping has never been more glamorous, and our specially built glamping site is the perfect place to escape from it all and enjoy the glamping experience without sacrificing your comfort. Hidden away in the heart of the countryside on beautiful Teybrook Farm, our cosy hideaway provides the best quirky accommodation far away from anything. This is camping, but not as you know it – it’s glamping!. Enjoy a full on-site kitchen, hot showers, flushing toilets, marquee and an undercover area in case it rains. All cooking equipment is provided, just bring along food and drink. Our secret escapes are perfect for any situation. Perhaps you want a romantic weekend far away from anything, or maybe you’re looking for a family break where there is fun for all in a unique setting. We have one of the best log cabins Essex has to offer, a hidden treasure that will help you relax and unwind in a picturesque setting. We also host team-building events for companies looking for quirky accommodation so you can get the whole team out into the countryside and strengthen bonds in a way that only a natural setting can provide. Whatever type of trip you have in mind, we would love to help you escape! So how about it? Want to get lost in the countryside for a weekend and forget about the rest of the world? Looking for some quirky accommodation in the country? We’d love to hear from you! Call us today on 07866 483 027 / 07980 836 985, or book your stay directly via our website. We can’t wait to see you! Situated close to Colchester with thriving high street and a stunning castle, the property is in the heart of the Essex countryside. Take a trip on the Colne Valley Stream Railway, or visit Colchester Zoo, Layer Marney Tower, and the gate house to what would have been Henry VIII royal residence. No trip to Essex would be complete without a trip to the coast, Frinton on Sea, Clacton or cross the strood to Mersea Island famous for Rock Oysters, great seafood restaurants and sailing. For shopping head to Colchester and Freeport at Braintree. Leisure facilities: fishing is available by arrangement with the owner. We have a complete kitchen on site with a small awning for dining undercover if the weather is bad and a communal bbq (each dwelling has it’s own fire bowl/bbq also). We have an impressive marquee onsite for additional undercover space to cope with the unpredictable British weather. In our undercover area, we have a tennis table and football table to keep our guests entertained if the weather takes a turn for the worse. Pots, pans, cutlery, plates are all provided so all you need to bring is food, drinks and some relaxed vibes. We sell bags of chopped logs for £3 p/bag. Dogs are welcome, provided we are notified in advance, they are well behaved, and any mess is cleared up after them so as not to disturb other guests. Based at Tey Brook Farm, just 6 miles South-West of Colchester, Essex in the village of Great Tey, Browning Bros provide luxury glamping accommodation, alternative wild weddings, corporate & team building events, and much more. Looking or something out of the ordinary? You've come to the right place.